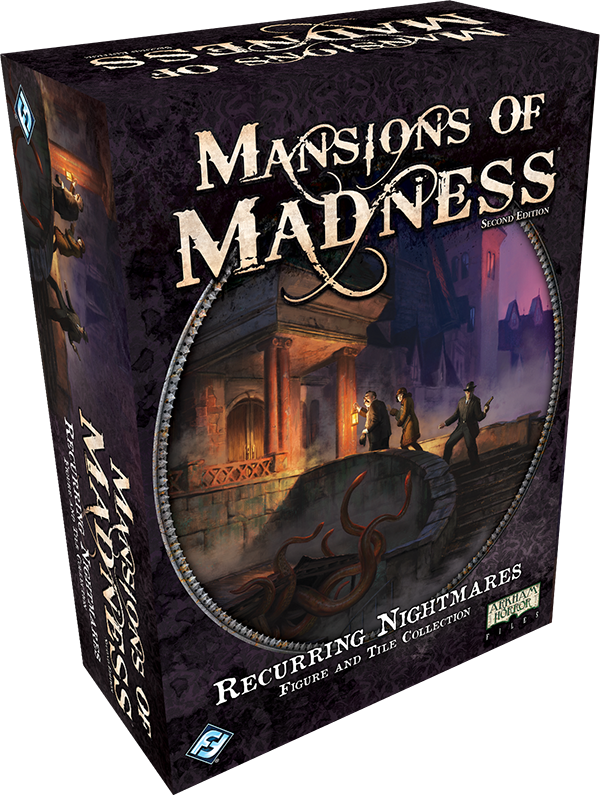 When you come out with a new edition of a game like Mansions of Madness, you're going to have a lot of gamers wondering what's going to happen to all that material that you came out with for the previous edition. New gamers, who might take the new edition as a jumping-on point for the game are going to be wondering the same thing. 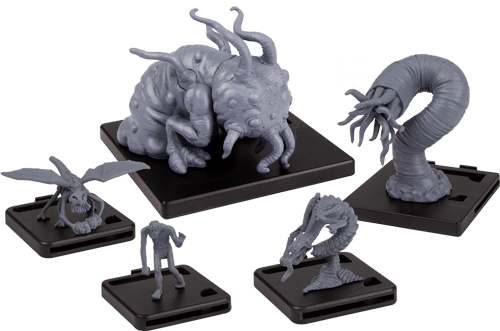 Well, with Recurring Nightmares, Fantasy Flight Games is going to be bringing things from the first edition into your second edition world. So, what sort of things can you be expecting in this updated set? Well, there's 8 investigators from the original core box. With investigators comes monsters (or, I guess, technically, it'd be the other way around, but still...). There's 18 of those, too. Want to increase the size of your potential games? 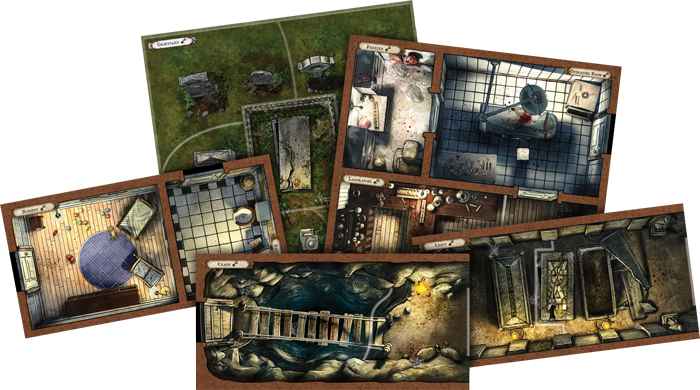 There's 15 double-sided game tiles included. 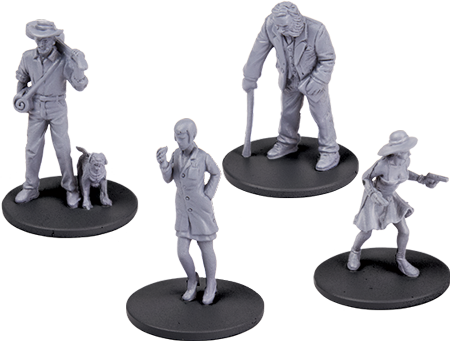 This set will greatly expand what you can do with your Mansions of Madness games. Oh what fun you can have going insane! Recurring Nightmares will be available this fall.